When you’re a business owner with a website, we strongly recommend incorporating Google My Business (or ‘GMB’ as it is often called around the internet) into your digital marketing strategy. Like it or not, people Google everything. Even if they receive a word-of-mouth recommendation, the first thing they’ll do is Google it. 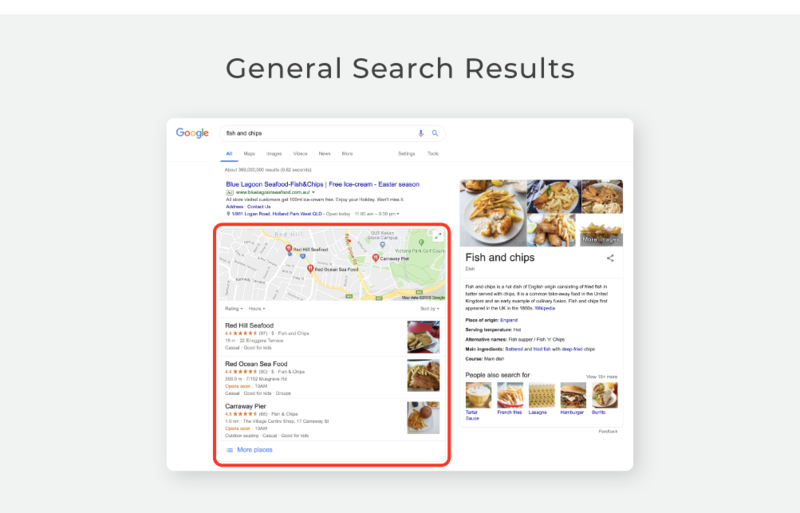 Basically, Google My Business is what pops up (on the right hand side of your search) when people Google you – your map location, reviews, phone number and business hours. Keeping this information current, relevant and refreshed is most definitely in your business’s best interest. A lot of business owners don’t realise that Google My Business is free and that they’re in control. It’s an easy-to-use tool for managing your online presence across Google – including Search and Maps. You can use it to verify and edit your business information, tell customers more about what you do and help them find you. It’s also a nifty activity to add to the mix in your digital marketing strategy. 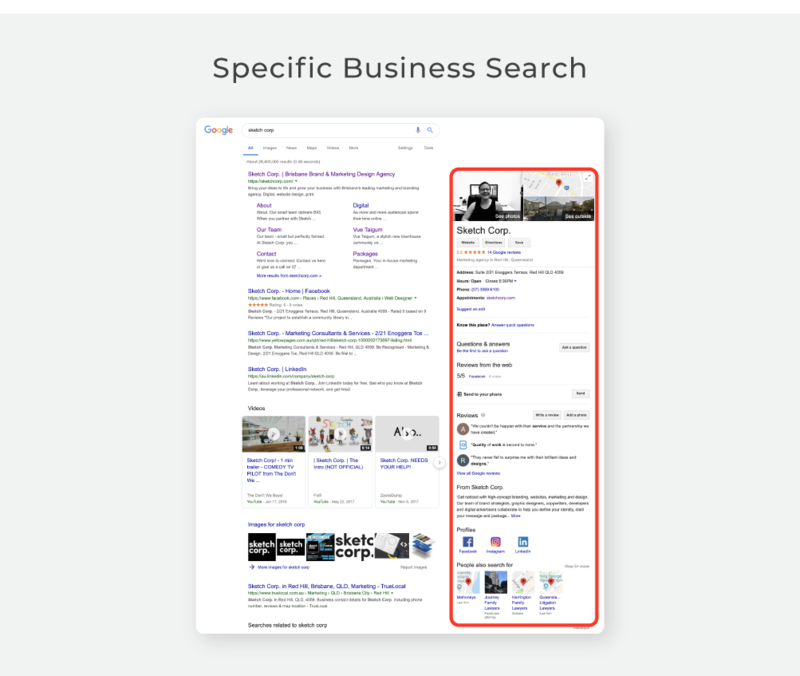 The benefits of keeping your Google My Business listing nice and tidy are huge for visibility and SEO. The vast majority of online searches usually generate results based on location. Appearing in local search results is lucrative and makes it easy for customers to review your business. Google My Business is where all your business’s vital details can be seen at a glance on any device, including what time you close, what your phone number is and how long it takes to drive to your office. The main thing is to get yourself a listing in Google My Business stat – it’s free, it’s easy to use and it’s a more effective marketing tool than it has any right to be. Simply maintaining an up-to-date and complete Google My Business page will do wonders for your local searchability. Where do these Google My Business results appear? You know when you type something into Google and three local search results (A, B and C) come up below a map? All are Google My Business listings. Your Google My Business listing comes up when someone in your local area searches for services you offer. Proactively taking charge of your Google My Business page puts you in the driver’s seat regarding what information you want to share. You can make sure all key information is correct and all descriptions are accurate. Once you get all those details right, it’s time to share posts via your Google My Business account and scrutinise reviews. As it happens, we’ve seen SO MANY listings for perfectly wonderful businesses that have one standalone bad review bringing their whole rating down. If this is you, you can encourage your fans to leave reviews and drown out this lone naysayer. One-star reviews are no indication that a business is bad, but of course random Googlers don’t know that. It’s human nature that people are more driven to vent about a negative experience than take the time to share a good one. We recommend putting a strategy in place that encourages your repeat customers and clients to tell Google how much they love you. This is entirely worth adding to your digital marketing strategy because just a handful of strong reviews will crush one person’s not-so-good experience. As with most pursuits in life and certainly with almost all digital marketing activity, you get out what you put in. Making an effort with your Google My Business listing by updating and tweaking it often will help you appear most frequently and prominently in local Google search results. Optimising your page involves making sure all information and pictures are correct and appealing, and it also requires that you make sure your business is listed with those exact same details on places like Yelp, Trip Advisor, Zomato and other smaller, highly regarded consumer review sites. Want help optimising your Google My Business page? Contact Sketch Corp. and we’ll break it down for you.